Somehow, in a year of living only a couple hours away, I never made it to Bath, England. This is doubly surprising because I’m pretty fond of Jane Austen, who lived in Bath for many years and set several of her books there. So when some Facebook-friends-turned-real-life-friends suggested a meet-up in Bath on a weekend when I would already be in England, it seemed like the perfect opportunity to see this charming city. Bath is named after its oldest and most famous attraction, the Roman Baths. Lots of Roman cities had baths, but these were special because of the naturally warm mineral spring water. Bath had the largest public bath in the Roman empire despite the small size of the town because the water didn’t need to be heated! The water also supposedly had healing powers—a belief that continued into the Regency era. There was probably some truth to this: in a time before vitamins, drinking and sitting in water with extraordinarily high mineral content could cure some infirmities. The place to “take the waters” nowadays is the Pump Room next to the baths, where an ornate fountain lets visitors taste the spring water. Most make faces at the sulfuric smell and gritty taste. I banished that taste with afternoon tea (with all the traditional accompaniments), which I ate as I listened to the delightful Pump Room Trio. May Week is a University of Cambridge tradition—a week of mad revelry that happens, as you definitely would not expect, in June. The highlights of the week are May Balls, elaborate and elegant all-night parties hosted by the colleges. Larger colleges throw balls every year, but the smaller colleges take turns. This year, my alma mater (Corpus Christi College) hosted. Additionally, two white tie balls were held. (Most are black tie.) Since neither of those things happened last year when I was a student at Cambridge, I had to return this year to take part! My week involved very little sleep but lots of alcohol and lots of fun. I arrived in England on Monday afternoon to the news that a friend had an extra formal hall ticket at Christ’s College that evening. So I dashed to the college, luggage in tow (thank goodness for porters! ), and arrived just in time for sherry, good food, half a bottle of wine, and port. Since I don’t drink much in Munich, that was quite the boozy start to my week. In other words, it was good training for what was to come! After a day of meeting up with friends who still live in Cambridge, the real partying started Tuesday night with the St. John’s College May Ball. All sorts of rumors circulate about this party: Time once ranked it the seventh-best party in the world. They keep a reserve fund to buy extra fireworks at the last minute so they can be sure to top Trinity College’s display. I have no clue whether either of those rumors is true, but it was certainly a perfectly elegant evening. We went from bumper cars to swing boats and from pop-rock to beautifully sung opera. I was well-fed with crepes, cheeses, scones, macarons, and pizza. Particular highlights included the fireworks display and the tea bar. There was quite a Twitter gathering at the Bayerische Staatsoper on Saturday night. We were all a bit disappointed by the Norma we saw. The production was pretty, but the singers and musicians weren’t all well-suited to their roles. I’ve heard Radvanovsky (our Norma) before, and I love her sound. (Not everyone does.) But I heard her in Verdi in a huge house (the Met), and she didn’t do as well singing bel canto in a smaller house. You can read my full review here. The Hungarian operetta Die Csardasfürstin is virtually unknown in the United States. That’s a shame—judging by the production I saw at the Deutsches Theater last night (on tour from the Budapest Operetta Theater), it would be a hit on Broadway. This musical comedy has it all: annoyingly catchy tunes, jaw-dropping dance moves, and a feel-good happy ending. My review for Bachtrack is here. Late spring is a glorious time of year. The sun is out. Lots of roses in my neighborhood are in bloom. I can wear cute dresses every day. 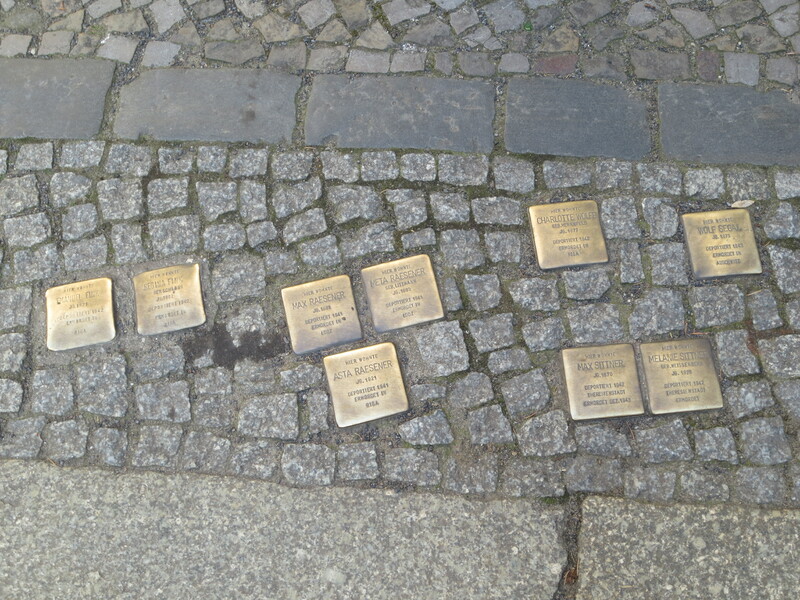 But to Germans, this season has a special significance. It’s not just late spring or early summer; it’s Spargelzeit. 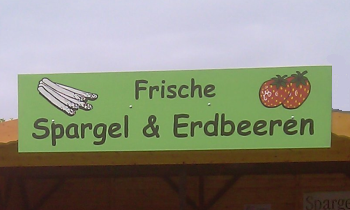 Spargel is asparagus (usually the white variety), and Germans are a little bit crazy about it. The fruit and vegetable stands that dot downtown have been filled with it. 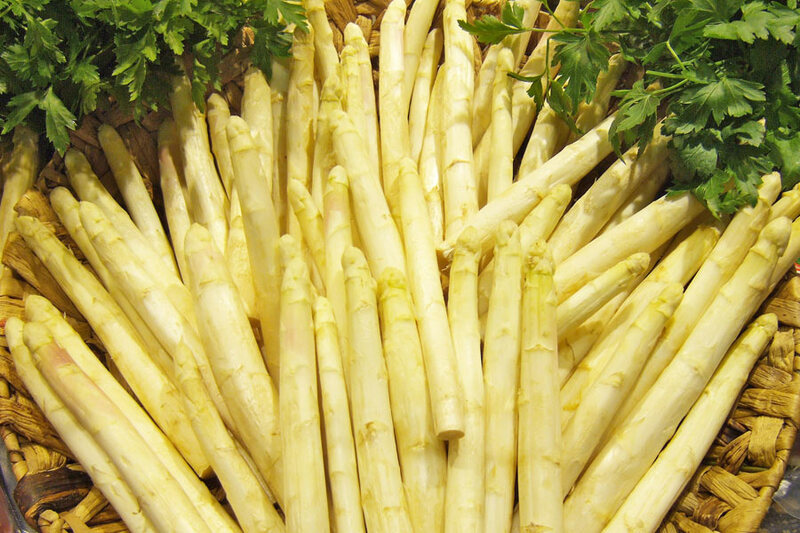 Every restaurant proudly displays a special asparagus menu, with soups and salads and mains all centered on this white stalk. I don’t quite get it—I like asparagus, but not that much—but it’s fun to watch. If you’re more of a fruit person, there’s still something for you. It’s also Erdbeerzeit (strawberry season). I do understand the strawberry craze; perfectly ripe, fresh strawberries are to die for. I keep buying baskets of strawberries with the intention of mixing the fruit with my muesli for breakfast, only to eat the whole basket on the way home! As my time in Munich nears its end, I’m trying to get through my bucket list. It’s a bit too late for intense sledding in the mountains, but it’s just the right season for hiking! My fellow Fulbrighter Eric agreed to go with me, so we packed up lots of food and water and took the train to the tiny town of Griesen, right along the Austrian border. We walked around the Nudelwald (literally “noodle forest”) and hopped a freeway to get to the trailhead. We planned to conquer Frieder, a 2050-meter mountain in the Bavarian Alps.